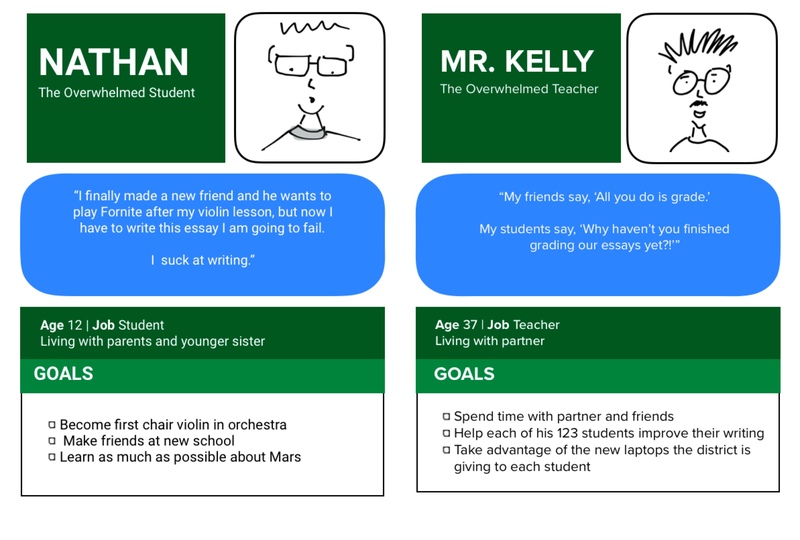 Google Classroom has the the potential to dramatically improve how teachers give feedback on student writing. I was able to observe student writers for 5 years as a teacher. Synthesizing that data and crosschecking it against literature on best practices would support better decision making about how to revise the existing interface. What are the key criteria for features that will help make writing feedback effective? Where in the writing process do students most need support? At what stage in the writing process is feedback most effective? 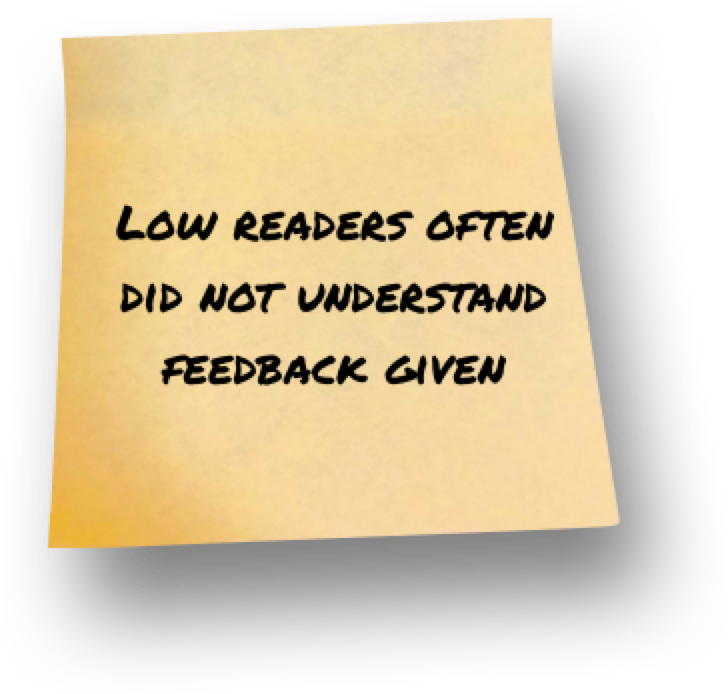 An alternative to text is needed to make feedback more accessible to low readers. Students should be able to write and receive support without having to switch interfaces. 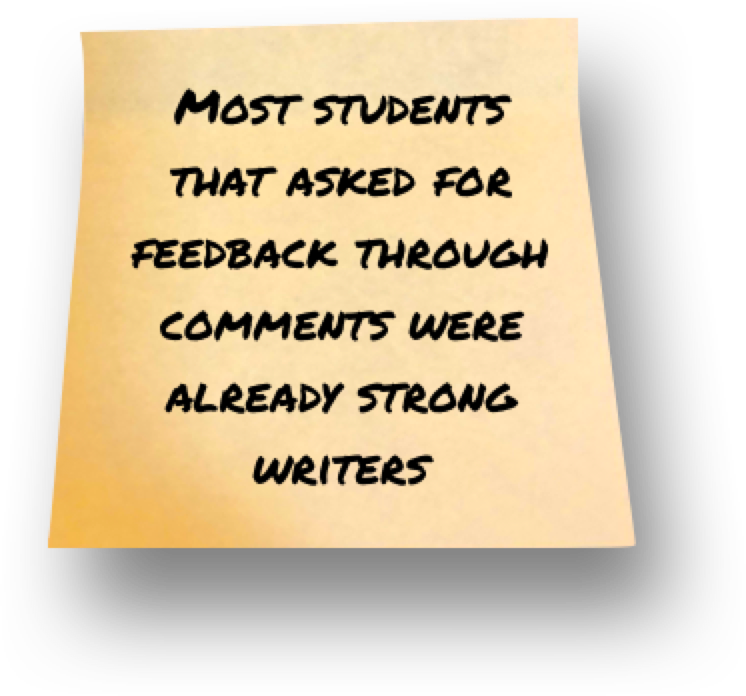 Students need outside support to seek feedback while writing. Features should store and provide access to past feedback. 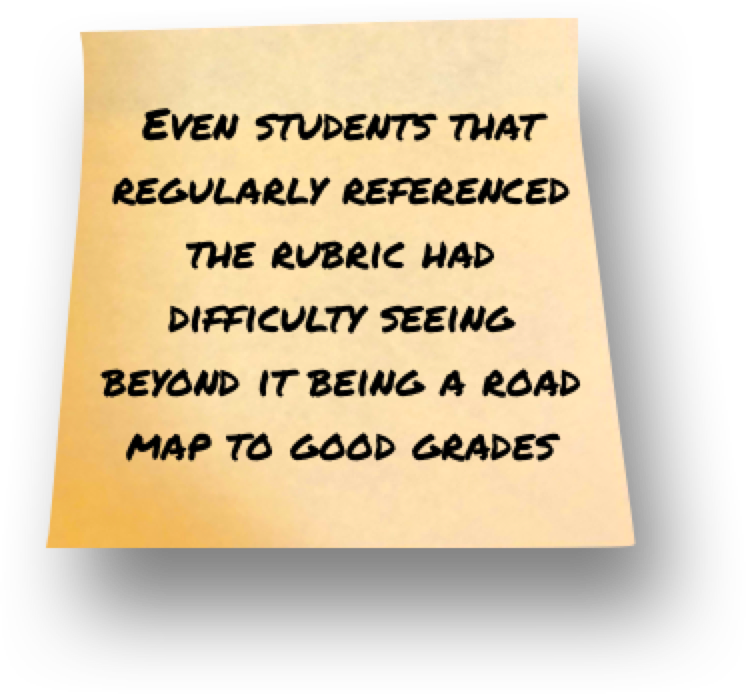 Features should help students understand how the rubric connects to their growth as writers. An alternative to email is needed for important student communication. Feedback tools should focus on allowing teachers to provide descriptive feedback and avoid using scores whenever possible. Students need easy access to learning criteria and should be prompted to reflect on the feedback they receive. New features will not matter if students do not understand what they are for or how to use them. Actually, I don’t hate it so much as I find it, well, probably the most accurate word is agonizing. Students need multiple meaningful opportunities to influence the feedback process. All features should help students to answer these three questions throughout the writing process. What understandings came out of this research that could inform decision making about how to better help students improve their writing? Is descriptive, helping the student understand where the writing is now and where to focus next. Can be accessed without interrupting the writing process. Is accessible regardless of reading level. Evaluating their progress towards learning objectives. Understanding how writing tools work and how they can help. Using feedback to decide priorities and next steps. While the student is still writing and can use to improve their writing. When a student is stuck in the writing process.